A 5-floor office building spanning on a total area of approximately 8,750 sq.m. 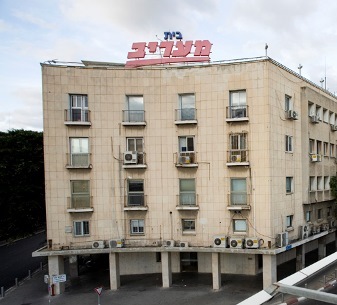 Maariv House is located at the junction of Carlebach St. / Menachem Begin Road / Yitzhak Sadeh St., known as the Maariv Junction, in Tel Aviv´s main business center. This junction is one of the busiest and most central ones in the city, crossed by access roads to and from Tel Aviv. In 2018, the District Committee of Tel Aviv decided to give effect to the plan for the construction of a 42-story office tower (43,500 square meters). The Company and Tel Aviv Municipality appealed to the national committee in regard of raising the tower to 60 stories. The location of the Nimrodi Tower is above the light railway station which will be connected by underground tunnel to the tower lobby (red and green railway lines), which will provide unique access to the tower.